Haagse Hout means “The Woods of the Hague”. True to its name, Haagse Hout is green and wooded. It enjoys a low crime rate, a higher-than-average income, and a greater proportion of older residents. This area is popular with families who want to raise children in a safe neighbourhood with lots of green spaces and good schools. Haagse Hout is divided into four municipal sectors: Benoordenhout, Bezuidenhout, Mariahoeve en Marlot and Haagse Bos. 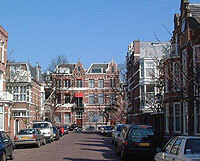 Benoordenhout is one of The Hague’s more expensive neighbourhoods, and a relatively quiet one. It is close to the city centre, has lots of parking spaces, with residential buildings nestled in wooded areas. Benoordenhout is divided into six smaller parts: Nassaubuurt, Uilennest, Duinzigt, Waalsdorp, Arendsdorp, and the Van Hoytemanstraat area. A bicycle bridge connects Benoordenhout with neighbouring Archipelbuurt and the Willemspark. High-rise residential towers are going up in the Benoordenhout. It is also a popular with migrants from other parts of the Netherlands, and members of the international community. One of the neighbourhood’s most attractive spots is Clingendael Park, designed in the English landscape style but known for its Japanese garden, which is open to the public for only six weeks a year. It was built in the early 20th century and features bridges, statues and a tea pavilion shipped from Japan; it's considered something of a national monument. Prominent buildings in the neighbourhood include the Shell complex, whose sombre appearance is designed to harmonize with the architecture of the buildings of Benoordenhout, and the Esso tower, also known as the Red Elephant because of its colour. The Red Elephant marks the entrance to the neighbourhood. The Mariahoeve en Marlot area is noted for its expansive parklands and the variety of its homes. 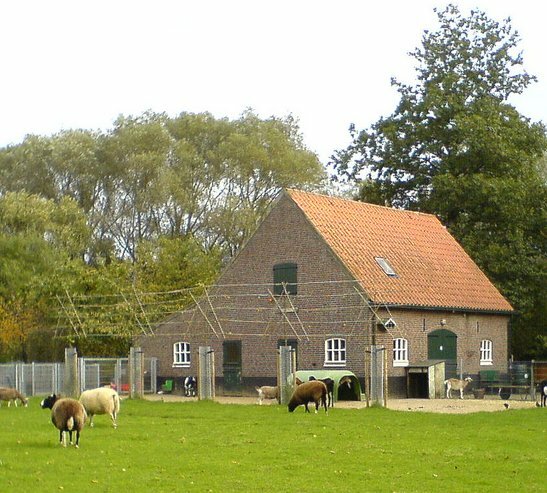 Marlot is the most prosperous sector of Haagse Hout. The houses here are villas, large farmhouses, and other expensive residences. The residents of nearby Mariahoeve have a broader income-range, reflected in the range of homes, from low-cost housing to stylish villas and apartment buildings. There are office buildings and a shopping mall close to the residential area. Bezuidenhout is a social housing neighbourhood that is popular with expats and younger people. To the north of Bezuidenhout is Haagse Bos, not a residential area but a park that includes one of the Netherlands’ oldest forests. Although two major highways cut through it, the area has protected status and is maintained by the Staatsbosbeheer, or the National Forest Administration.